Here's the first trailer from Call of Duty 5 World At War. Get ready to do battle in the jungles of the Pacific during World War II. Hot Shots Golf: THIS is a course! Here's a concept DualShock 3 which has it's similarities to the Wii Remote. Would a simple ultrasonic sensor do the trick? We wonder how far along this concept is. If anyone has anymore info, please post it. Metal Gear Solid 4: Guns of the Patriots Database on the way! Check out Takumi, Ikatani, Itsuki, and the rest of the Initial D characters on your PS3 in Initial D Extreme Stage. This should be available on the 3rd of July, enjoy the screenshots until then. 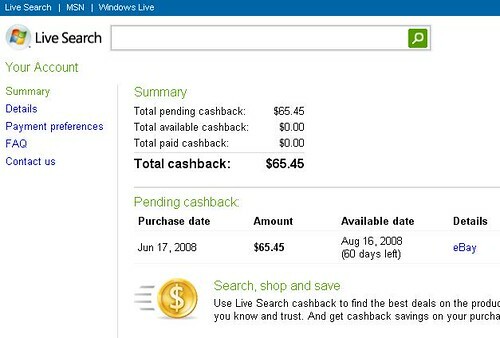 Here's a way to get 35% off (up to $250) of an Ebay "Buy It Now" purchase through the use of PayPal and Micrsoft Live Cashback. Let Microsoft give us $250 off of an 80gb PS3 MGS4 Bundle. 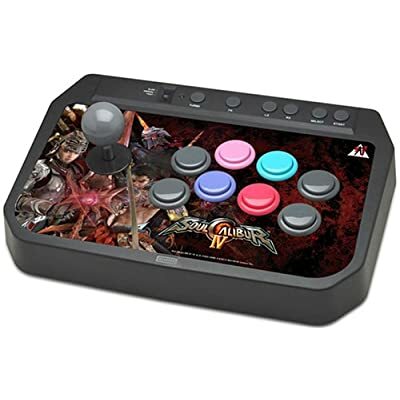 Search for any item you want, maybe a Limited Edition Metal Gear Solid 4 bundle. Make sure you have the Buy It Now tab selected. The offer is valid for 3 purchases and a cash back of up to $250, so to maximize the discount the final price should be around $715. $714.3 * 35% = $250 Cashback. Go back to your Ebay account. Create a live.com account if you don't already have one. Go to Payment Preferences and link your PayPal account to your Live Cashback account. In 60 days you will get your cashback into your PayPal account. Now you can buy a PlayStation 3 with up to $250 off thanks to Microsoft. Here are 4 of the newest gameplay videos of Resistance 2 from Insomniac Games. The projected release date is November 4, 2008. We can't wait for 60 player online mayhem. 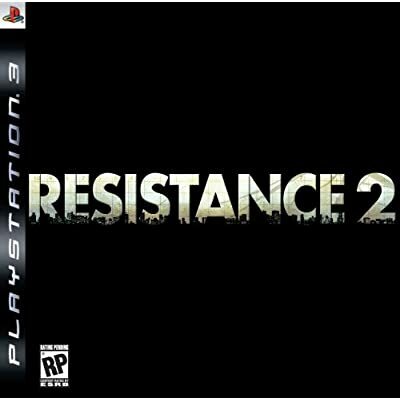 Let's hope Insomniac pulls this off again as Resistance: Fall of Man is a must have for any PS3 owner. Mana Knight of ps3forums stumbled upon PSN Cards at a local Meijer's Store. The PS3 had no problems recognizing that he had a $20 card by entering the code on the card but it would not go into his PSN wallet. He contacted Sony to ask about the Wallet issue and was told that the PSN Cards were sold a day early to him but they are officially available on June 13, 2008, Friday. He was told to clear the cache in order for the $20 PSN Card to be available for his PSN Wallet. We believe it was done through the browser, but this is unconfirmed. After all the cache was cleared the PSN Card worked as intended. So for those without credit cards or want to give someone a nice gift, look out for the PSN Cards at your local retailer. 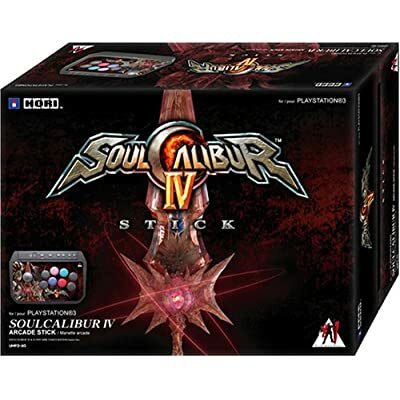 Here's what the Soul Calibur IV Fighting Stick Limited Edition from Namco Bandai. We believe it's a USB connection. 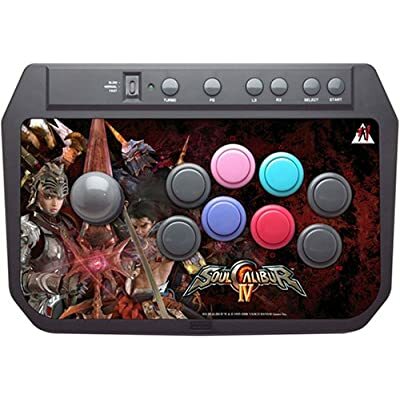 This would be excellent for Street Fighter IV as well. 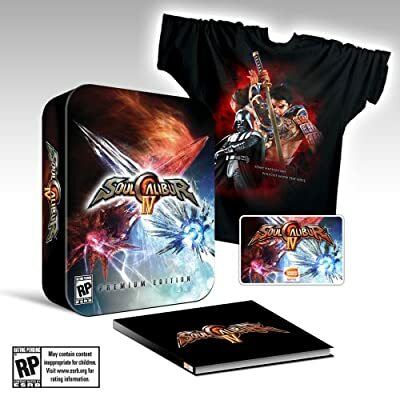 Also here's Soul Calibur IV Premium Edition which comes with a t-shirt with Lord Vader, an art book, a tournament bracket card, and a metal case which is so popular these days. We were refraining from posting any MGS4: Guns of the Patriots news but this one is pretty cool. Here is the install screen of the Japanese version of MGS4. I guess smoking isn't frowned upon as much in Japan. Will we get the same screen? METAL GEAR MONDAYS! Metal Gear Solid 4: Guns of the Patriots - Launch week! Above is the new king of supercomputers dubbed "Roadrunner" by the US Military. It has entered the mighty petaflop territory with 1.026 quadrillion calculations per second. Roadrunner was built by IBM and the Los Alamos National Laboratory in New Mexico, US. The main purpose of Roadrunner is to simulate behavior of weapons in explosions. It will later be used to help with climate change projects. The most interesting part for us is that Roadrunner uses 12,960 improved PlayStation 3 Cell processors to achieve the numbers. The total cost for Roadrunner is $133 million dollars. The current Stanford folding@home stats show that the PS3 users worldwide contribute 1.527 quadrillion calculations per second or 50% faster than Roadrunner. We wonder what happened with the Air Force's request for 300 40gb PS3's. That would make for a nice mini supercomputer. More info on Roadrunner from the NY Times. For those outside of North America, here is Qore Episode 001 released on June 5, 2008. You also receive Calling All Cars if you opted for the $24.99 full year subscription. The Socom Confrontation Beta is not available yet. There is also an easter egg inside this episode. There's not a lot of Veronica Belmont in the first installment. Welcome new Syphon Filter: Combat Ops players! Would you rather play Grand Theft Auto IV? or Saints Row 2?